This webinar is for anyone who does not have Homesnap on their device or has had any outstanding issues with downloading and/or logging in to the app. 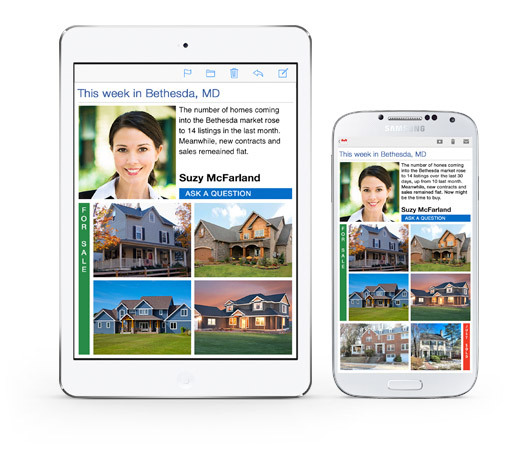 This is a step-by-step guide to getting and launching the Homesnap app on your device. We will start with getting the Homesnap app from the App Store or Google Play Store and cover claiming your MLS ID and adding/updating your profile photo. This is a live and interactive webinar hosted by our Agent Trainer, which will cover more advanced features of Homesnap for Homesnap Pro agents. Please have the app downloaded and open with the Pro Agent tab visible prior to the start of the webinar. This webinar is appropriate for users who are already familiar with the Homesnap app. Upon registering, you can submit any questions you may have and we will address them during the webinar. You will also learn tips on using the app with buyers and sellers as well as a more in-depth look at snapping, favorites and sharing listings, messaging, customizing backend marketing, and more. The Homesnap Pro Broker/Agent Forum occurs on the third Wednesday of each month and is hosted by our VP of Industry Relations, Stephanie Rall (who is an active Broker). 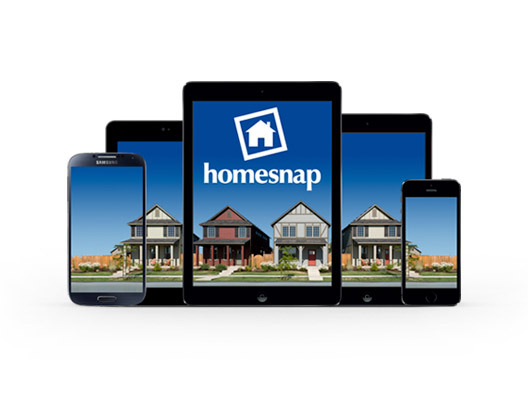 This is an open and interactive national forum where participants can share ideas and ask any question they want about how they can incorporate Homesnap Pro into their business. The questions and input from participants determine any additional topics covered during each webinar. To keep this a personalized experience, space is limited to 20 people per session. Remember to click Show in My Time Zone when registering for the webinar. View any listing in the past 2 years to see the related agents. It’s simple to send a message, call or email any agent in your MLS. Tap any agent to view an expanded profile that includes past deals and an analysis of pricing tendencies and timing. 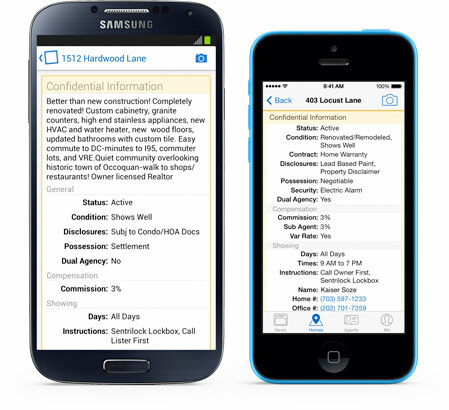 View agent-only listing info, including agent remarks, commission splits, showing instructions, disclosures, occupancy and more. Create timely, accurate Comparative Market Analysis reports in less than 5 minutes to print and share with your clients as PDF documents. You’ll be featured in our weekly email sent to homebuyers in your area. All inquiries and tour requests will be sent exclusively to you. You’ll be automatically designated as the default agent to contact on all of your active listings. Plus, you’ll be featured on Homesnap property pages. All questions and showing requests will be sent directly to you. 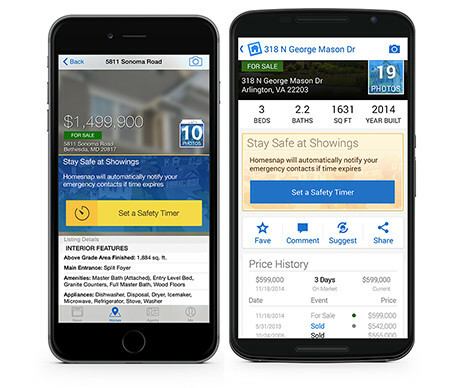 Set a Safety Timer and Homesnap will automatically notify your emergency contacts if time expires. 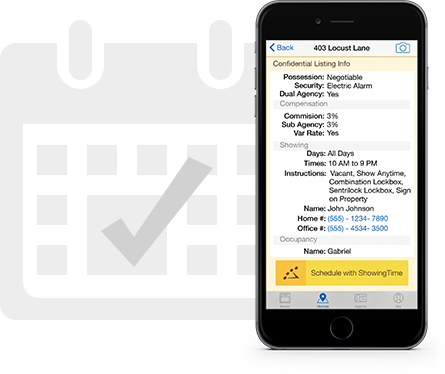 Homesnap seamlessly integrates with ShowingTime™ so you can schedule showings with just a few taps. 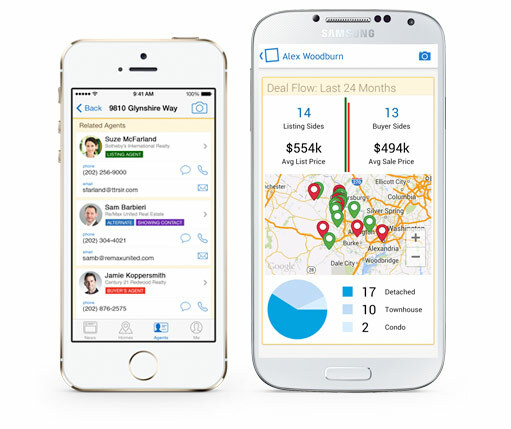 See how you are connected to an agent through your transaction history and co-worker relationships. 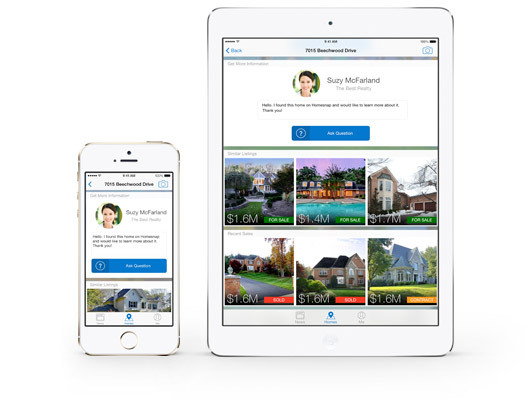 You can access Homesnap Pro from any device. Whether you prefer iPhone, iPad, Android, web or mobile web, we’ve got you covered. 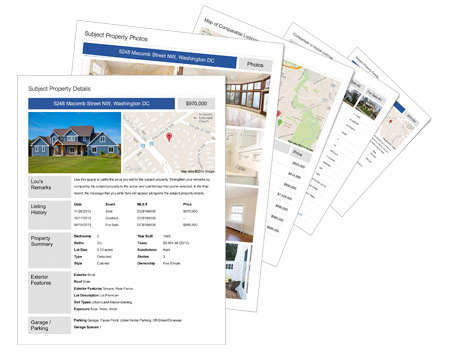 Log in from anywhere to access listings, clients, faves, recently viewed homes and more.